We were excited to pack our bags and head off to the Sierra Nevada for a wedding nestled within the mountains. Our bride and groom had briefed us that the walk from the church to the venue was very special. 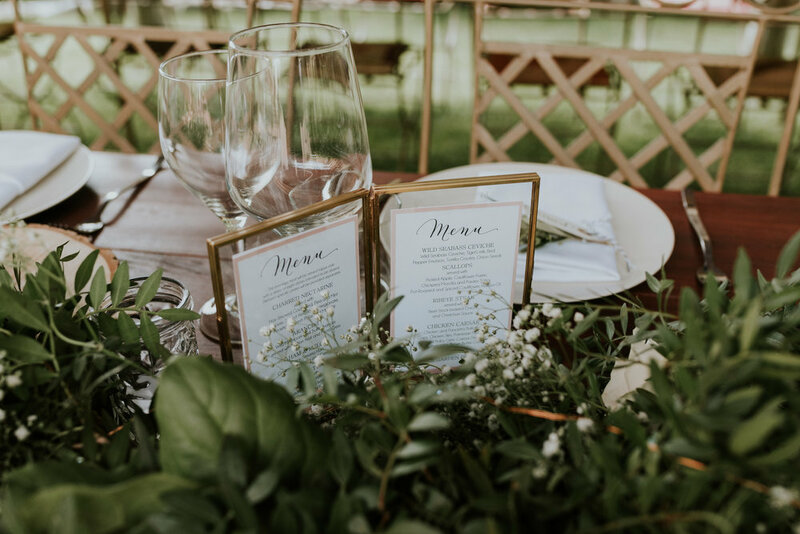 They wanted to emphaise the surprises of the scenery at each twist and turn with little treats - first flip flops to replace heels, then a Cava station and the real wow canapés hung within the scenery. Guests were wowed as they turned each corner to discover these treats. 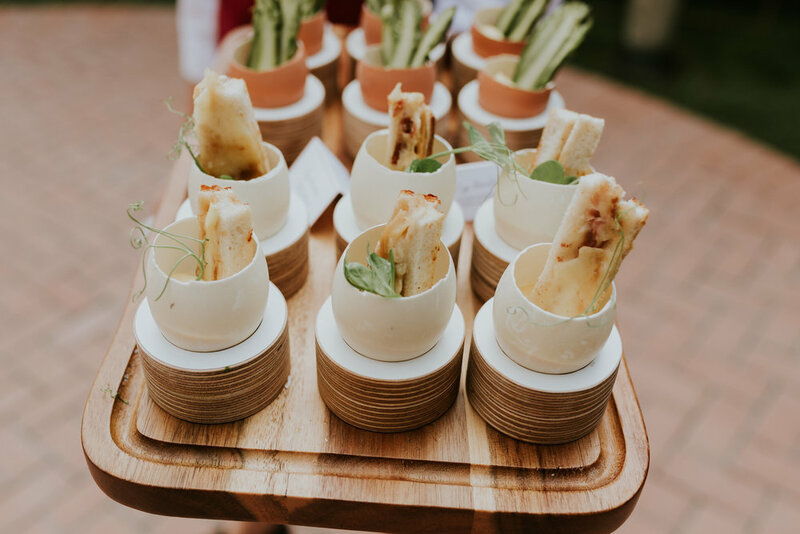 On arrival at the venue, the canapés flowed including personal touches - the groom Benedict had his own 'Eggs Benedict' canapé and the bride Sarah had the 'Eggs Sarah' - a touch to make friends and family smile. Dinner was within the gardens and the brief from the couple was for a Spanish feast to be served tapas style. The dishes were to have influence from Spain but not be traditional tapas, the focus was on fresh food with a colourful and seasonal influence. 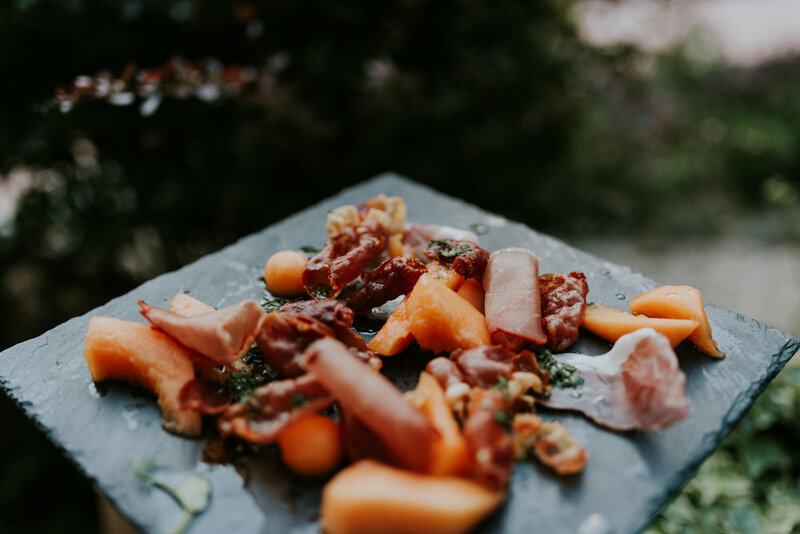 The food flowed and included dishes such as 'Charred Nectarine with Goat's Curd' through 'Seared Tuna with crushed Wasabi Peas' to 'Chicken Caesar with Crispy Parma Ham and Gold Manchengo Cheese'. Dessert was an edible garden to reflect the surroundings with hot salted caramel sauce served in silver watering cans. Extra points were earned by the Jimmy Garcia Catering team transporting the cake to the venue, all the way from the UK. The bride's mother, an expert cake maker, had baked a towering cake and the team transported this carefully to Spain allowing her to construct it on site ready for cutting on the big day! 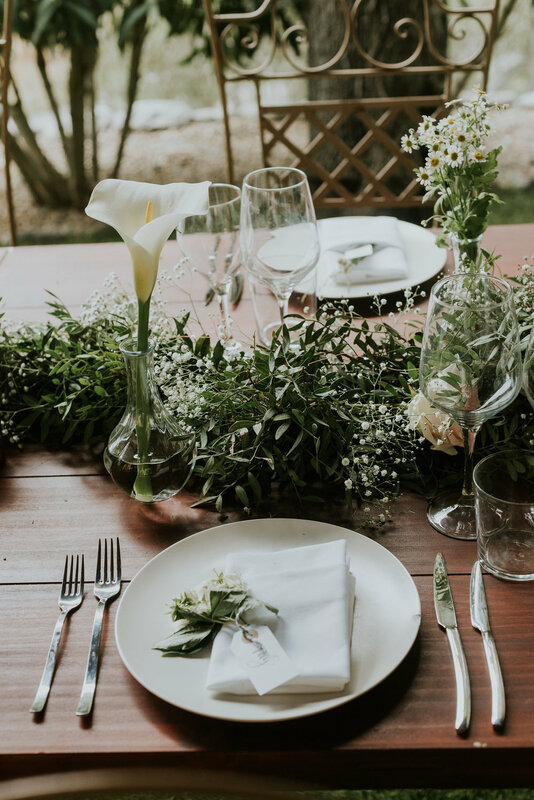 An idyllic wedding in the mountains - a meal designed to reflect the surroundings and perfectly fit the tastes of the couple.